Today's featured artist is Dorothy Berry-Lound, also known as ShannathShima, who promotes life, work and energy balance through her art, poetry and writing. She is a Tai Chi instructor and Reiki Master and a member of the Fellowship of Authors and Artists and the Arts and Healing Network. This is an important focus for her artwork and she has developed a range of healing art and colour harmony images. The images she creates always have a story, a message she is trying to get across or imagery to make you stop and think. 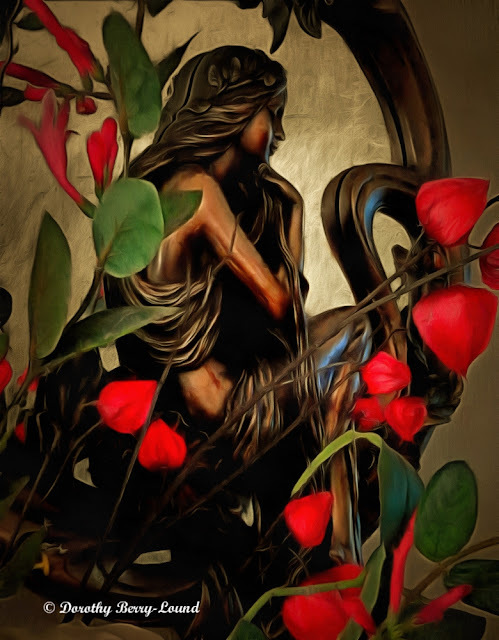 She also produces art for interior decor that contributes to the balance and harmony of the home and office and would make good book covers or music artwork. 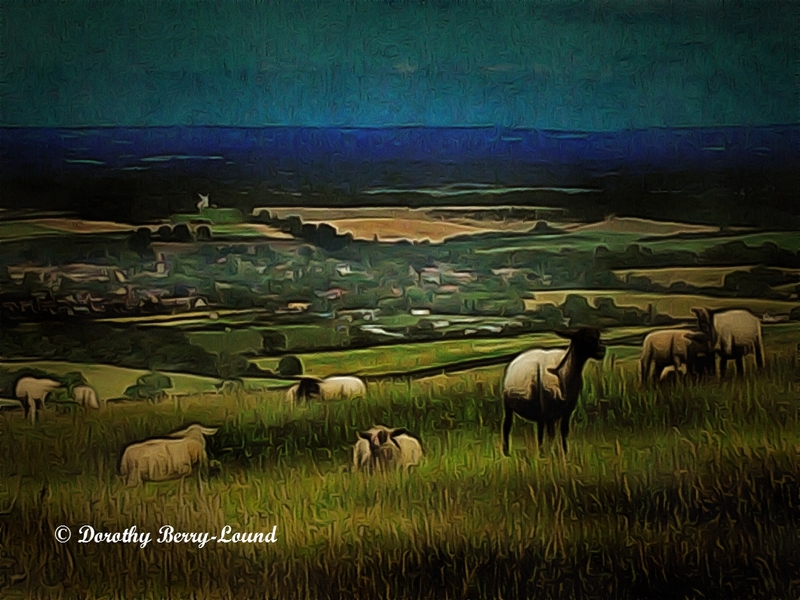 Dorothy specialises in photo painting - using her own photographs and using digital software and her imagination to develop the images further with colours and textures. The three example images posted here are examples of that technique. This technique has also led to the development of 'Barnie Paw Print Designs' which are a series of designs based around a set of her dog Barnie's paw prints found in what should have been pristine concrete! 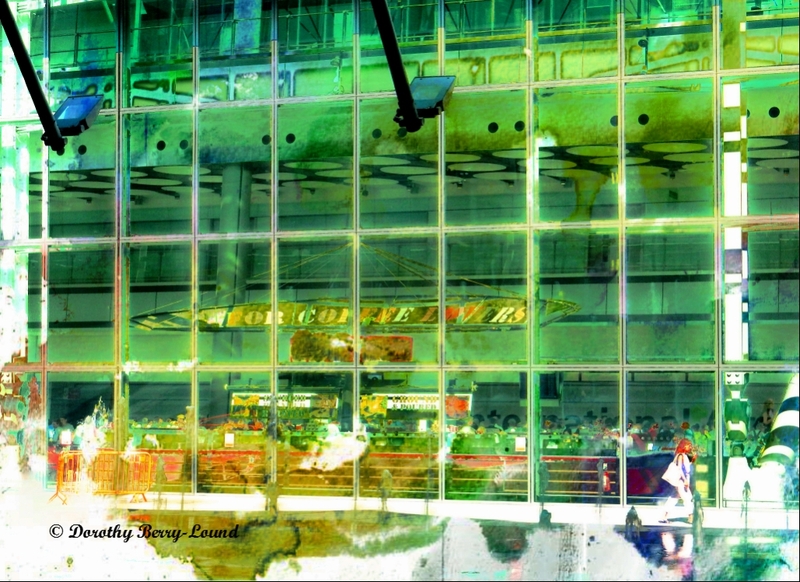 To see her entire portfolio please go to http://dorothy-berry-lound.artistwebsites.com/. If you would like to join her email list she can keep you up to date with her latest work and special offers. A selection of her images are available for licensing and you can find out more at Licensing Pixels. You can follow her on Facebook and Twitter and she has a blog that she posts every Monday and Friday at http://www.shannathshima.me.uk/artblog/. If you are a photographer or artist and would like to be considered for our Featured Artist feature, please contact me, if you leave a comment with an email address, I will get back to you. Check out all of our featured photographers. Some very wonderful works of art. I'm always happy to learn of new artists out there and that they do so much with their art. Featured Photographer - Allen Beatty.